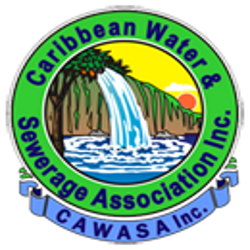 Integrated Sustainability is a Canadian company with a local office in Barbados providing collaborative solutions in the areas of water, waste and renewable energies throughout the Caribbean. Together with our partners, we provide full Design-Finance-Build-Own-Operate-Transfer turn-key projects. Our specialization, coupled with courageous culture, is disrupting conventional thinking, re-defining industry and improving outcomes and results. Our typical involvement is in the front-end planning / design / tender / construction of various infrastructure projects related to water, waste, renewable energy. However, we are not your typical Consulting Firm, and are available to also finance and operate projects. Project Scope: Belize – design and development of a National Adaptation Plan (NAP) Roadmap and an integrated National Adaptation Plan for the agriculture and water sectors. Co-Operative Republic of Guyana – Review and update the Climate Resilience Strategy Action Plan (CRSAP) to address gaps and to ensure alignment with the existing United Nations Framework Convention on Climate Change (UNFCCC) endorsed frameworks for NAP’s. 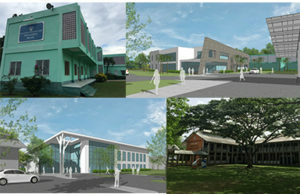 Project Scope: Completed the conceptual design, including all the front-end data gathering to expand four (4) UWI Open Campus sites located in Belize, St. Kitts, Dominica and Trinidad. The front-end data collection included collecting existing drawings and reports and also performing our own data collection in the form of geotechnical investigations, cadastral & topographic site surveys, performing an Environmental & Social Impact Assessment as well as a needs analyses for four (4) regionally dispersed UWI Open Campus Sites. Once the data was collected, our team (that consisted of Canadian and Caribbean Engineers and Architects) developed and completed the conceptual designs for each site and submitted the design packages to each local Planning Department for approval. Recommendations involved demolition of existing buildings, new construction and expansions. Green sustainable solutions were integrated into each project to include rain capture, water re-use and solar power. Project Scope: Integrated Sustainability has partnered with a finance partner to provide design/build/finance services for a large multi-million dollar project in northern Alberta. The scope of services includes collecting process discharge water from a confidential client and pumping this process water 1 00 km’s, using 4 large pumping stations, to a location where various industrial (Oil & Gas) clients can use this water for deep well injection to extract oil & gas.This project is seen as a win/win scenario where the process discharge water was previously seen (from our onfidential client’s point of view) as a cost for the company considering it was their responsibility to treat this process water before being allowed to discharge the treated wastewater into the environment. By collecting their untreated process water and pumping it to a location (700 km’s away) to be reused in the industrial (Oil & Gas) process, it saved the confidential client immense annual costs while providing the Oil & Gas sector much needed water to be used in their process.